For 20 years, Dustin has helped business owners and individuals achieve their financial goals through his personalized financial approach and high-level commitment to his clients. As a CERTIFIED FINANCIAL PLANNER, he has undergone an extensive certification process which involved a demonstration of thorough knowledge in a diverse mix of financial topics including retirement, investments, insurance, taxes, financial planning and estate planning. Originally from Natchitoches, Dustin received a Bachelor of Business Administration Degree in Financial Services and Planning from Baylor University. He worked as a Retirement Specialist for Fidelity Investments in Dallas, TX before returning to Natchitoches to take a position as a Financial Advisor with A.G. Edwards & Sons. In 2010 Dustin and his father Bill Cross formed Cross Financial Group, LLC where Dustin currently serves as Managing Partner. In January 2014 Dustin was named one of Rep Magazine’s “Top 40 Under 40 Independent Broker Dealer Advisors”. Dustin and his wife Amy have two sons, Colton and Luc, and the family is active members of the Immaculate Conception Catholic Church. 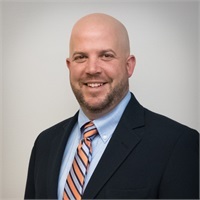 Dustin is an involved member of the Natchitoches community serving as chairman of the Natchitoches Area Chamber of Commerce in 2013 and as a past president of the local Jaycees chapter. He currently serves on the board of the Louisiana Sports Hall of Fame and as a supporter of numerous philanthropic organizations. In his spare time, Dustin can be found coaching his sons in their various sports, cooking for friends and family at tailgating events, and co-hosting the NSU Demon Huddle Radio Show.